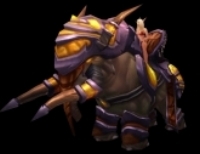 Since our previous Battle Plan, World of Warcraft has gained a considerable amount of new in-game content, as well as improved and expanded service features -- all of which have been focused on enhancing the game experience for our passionate, ever-growing community. One example of the new content we've added is Naxxramas, a multi-winged 40-player raid dungeon that pits players against the forces of the lich Kel'Thuzad. We've also revamped Light's Hope Chapel to make it a fully functional and exciting quest hub. In addition, many new items have been implemented, including new PvE and PvP armor sets, along with a powerful new Legendary caster item. 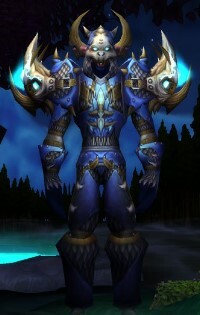 In terms of service enhancements, many players have taken advantage of the Paid Character Transfer service, which enables players to move characters between realms. Also, we've decreased battleground queue times by implementing the new cross-realm battleground feature. By allowing players across several realms to play in the same battleground, wait times have significantly improved for most battleground matches. We've worked hard to deliver these new content and service features while simultaneously developing our first expansion pack, The Burning Crusade. In preparation for the expansion, we will be releasing one of our biggest content updates ever for World of Warcraft, called "Before the Storm." 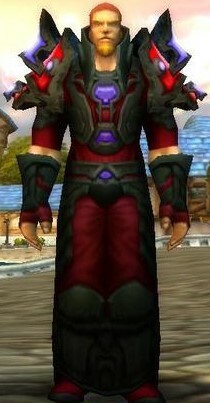 Already in testing on the public test realms (PTRs), "Before the Storm" will implement a number of significant content updates, including a revamped PvP Honor System, the new Arena System, the new Looking for Group interface, brand-new talents for all classes, and an abundance of other changes and additions. Be sure to check out the PTR patch notes for more information. The new PvP Honor System will completely replace the current honor and ranking systems. This new Honor System will introduce honor points, a sort of PvP currency, which can be accumulated and spent on rewards. The honor points will be awarded through any PvP combat, similar to the current Honor System, but are not diminished over time. You will be able to participate in PvP at your own pace, accumulate honor points, and spend them on honor rewards whenever you like. Before the Storm will also introduce a new PvP option: the Arena System. The Arena System will allow for group-based gladiatorial-style combat in which teams compete on a ladder-based ranking system. Teams will consist of two, three, or five players, and will be created similarly to a guild, with each player signing a team charter. As they rise through the ranks, teams will receive arena points, which can be spent on high-end rewards. The Arena System will let players really test their PvP prowess and obtain rewards that will rival some of the best gear coming out of the high-level dungeons. Speaking of PvP, we're also hard at work on our team-balancing feature for the battlegrounds. This feature won't be ready for this next content patch, but will be added in a patch sometime after the expansion launches. Team balancing will help ensure that the teams facing each other in each of the game’s battlegrounds will be as evenly matched as possible. 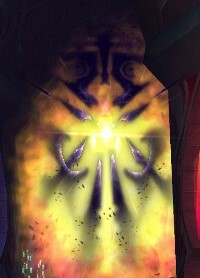 The content in "Before the Storm" serves as a prelude to The Burning Crusade. We're rapidly approaching the final stages of development on the expansion, thanks in large part to the feedback we've received from the thousands of players participating in our ongoing closed-beta test. We still have much work ahead as we continue focused testing and polishing up until the retail release in January. In the meantime, we are continuing to work on play balance, as well as testing server load and other important issues. I did want to share details on some of the exciting dungeon-related content coming in The Burning Crusade. As a part of the first encounters in the new Outland portion of the expansion pack, players will get a chance to adventure in Hellfire Citadel. This new four-winged dungeon is strategically placed in the very heart of the Hellfire Peninsula, between the Horde and Alliance home bases. Once a Horde stronghold during the First and Second Wars, this bastion of power was thought long abandoned until recently. Now Fel Orcs inhabit the citadel, cultivating and augmenting their dark arts. The first three wings are: Ramparts for levels 60-62, Blood Furnace for levels 61-63, and the Shattered Halls for level 70. 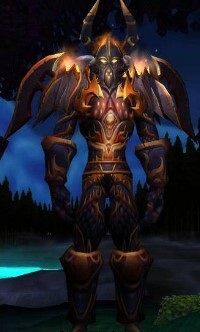 In the last wing, players will be able to experience a small raid encounter similar to Onyxia, in which they’ll face the Pit Lord Magtheridon (of Warcraft III: The Frozen Throne infamy) within his lair. Another exciting aspect of the expansion is the new Heroic dungeon-difficulty feature, which will let you experience many of the expansion dungeons in two different modes. One mode will be the normal version, and the second mode, Heroic, will boost the difficulty of the dungeon. The additional risks that players take on at the higher difficulty setting will also come with the opportunity to gain greater rewards. 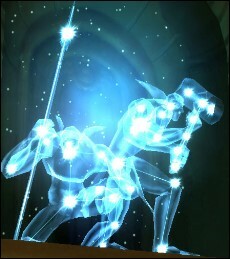 The challenges that await players inside of a dungeon set to Heroic difficulty will go beyond just increased hit points and attack power for the creatures inside. Enemies will also have extra abilities, making each encounter more tactically challenging. The rewards of course will scale up accordingly with the boost in difficulty. 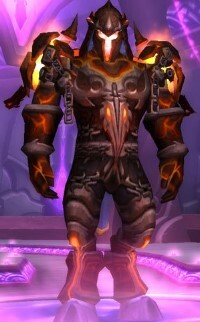 In order to unlock the Heroic level of a dungeon, players will need to be level 70 and achieve other objectives as well. More details on these prerequisites will be revealed at a later date. While I’m on the topic of dungeons, I wanted to mention here that the Black Temple -- the dungeon intended to offer the most challenging encounters in the game -- is still deep in development and will be opened up for public testing after the expansion is released. It’s important to us to spend as much time as possible balancing and polishing the content in this dungeon before releasing it to players; it’s definitely not something we want to rush out the door just for the sake of meeting a deadline. We look forward to sharing more information and offering some glimpses of the Black Temple content in the weeks ahead... and then opening it up to Burning Crusade players on the test realms once they’ve had a chance to level to 70 and gear up in the other dungeons. 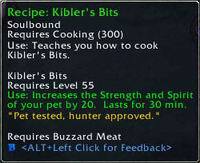 We have many other new things in store with The Burning Crusade, such as: new monsters to battle, new lands and dungeons to explore, new quests to undertake, a new profession to learn, and much more. We've unveiled a lot of these details over the past few months, but nothing quite compares to the feeling of actually playing through all the new content. We’re looking forward to gathering additional feedback in the final phases of testing, and then sharing the results with you with the release of The Burning Crusade expansion next month.